Dimensions-3 Seater-Lenth (70.86 inches),1 Seater-Length(31 inches),3 & 1 Seater-Width(28 inches),3 & 1 Seater-Height (31 inches), Seating Height (14.96 inches) Primary Material: Acacia Wood Color: Cream Brown, Style: Modern, Upholstery: Fabric Seating Capacity: Five Seater Assembly Required: The product requires carpenter assembly for leg only. Assembly Required: The product requires carpenter assembly for leg only. 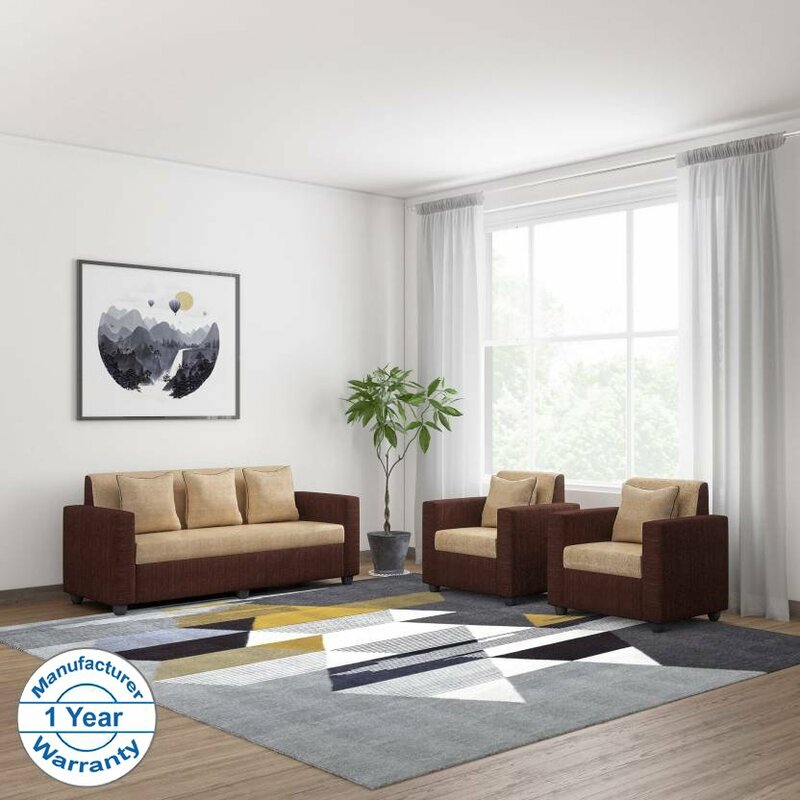 Bharat Exim Brings To You Modern And Comfortable Sofa Set For Your Living Room.Bharat Lifestyle Tulip Cream Brown Soft Touch Fabric 3+1+1 Sofa Set Is Made Of Acacia Wood. It Has An Elegant Design Which Enhances The Interior Decor Of Your Living Room. Designed In Such A Way , The Sofa Is Comfortable To Sit. Buy This Sofa Today!